If your group is within 20 miles of a Yogurtini location, you could be very successful in selling our Froyo For A Cause Cards. Each card has eight tasty froyo offers which are all redeemable at your local participating store. Your organization can purchase these cards from your local Yogurtini at a low cost to you and then sold to your supporters to aid in your efforts! These cards make great holiday gifts for those who plan ahead, or they can be an everyday tasty treat for those who love your organization and froyo too! You can also talk to your local Yogutini store about hosting a Community Fundraising Night to raise money. Invite your friends and family to the store for a frozen treat and a portion of the nights sales will go towards your fundraising goal. Froyo and friends make for a great night out, and you get all the benefits! Talk to your local store about these and other fundraising options for the upcoming fall season! 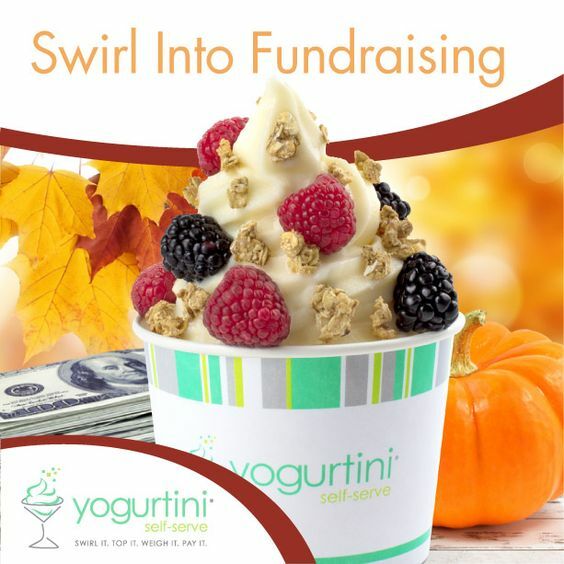 Fundraising has never tasted so sweet with Yogurtini!